Makes a lovely First Communion gift for a special young lady. 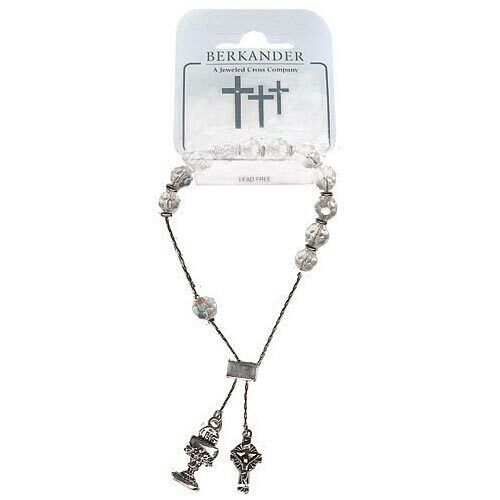 Silver plated crystal aurora borealis glass beads, with chalice and crucifix. Sized to fit First Holy Communion age girls.